riends and family of Jacque Sue Waller hope social media can lead to the discovery of the 39-year-old mother of triplets. Jacque Sue Waller, most recently of Ste. 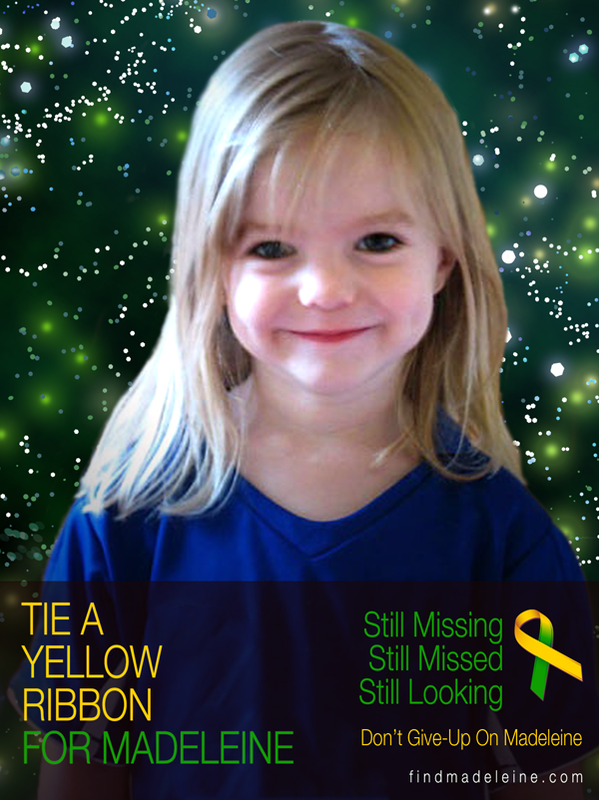 Genevieve, Missouri, disappeared June 1 after visiting the home of her estranged husband in Jackson, Missouri. Authorities say Gary Waller is a "person of interest" in his wife's disappearance but have not named him as a suspect. Since its formation Monday, the Facebook site "Find Jacque S. Waller" has some 2,800 followers and hundreds of posts from well-wishers hoping for her safe return. The site also has numerous photos of Jacque Waller (nee Rowan) in hopes that someone may have seen her over the last few days. Waller's family says she would never leave her five-year-old triplets without warning. There is an urgent appeal for the public to assist with the finding of Jacque Waller who went missing on 1st of June. Searching for a suitable link I see there is a great deal of information on this matter and I dont want to read any of it until I have let tarot tell me itself what it wishes. Tarot is not 100 per cent accurate and can not be relied on for 100 per cent detail. Often the detail is 'jumbled' or in mixed messages but still happens to throw light in certain ways on the situation. Tarot is past present and future so please bear that in mind when reading. Please go to other factual sources for valid reports. Below is a brief tarot synopsis and not an indepth report. Asking what may have happened to Jacque, the tarot seems to present me with the four of cups. This card is pure apathy and seems to reject some kind of proposal being given . Notice the three cups on the floor and the fourth one being offered? I understand the lady has three children - was somebody offering a fourth as a proposal for union? It might well be. The person in the picture here could also be refusing something too and it may not be her. Perhaps Jacque was excited or celebrating in the previous card we have the three of cups which shows her happy about something - and in general there are new beginnings for her. However, those new beginnings reach an apathetic conclusion as when it gets to the four of cups you can see there a refusal about something. The cups are emotional cards so therefore it would have been an emotional refusal on an emotional matter and that has led to big problems in the five of cups which is often a card for sorrow and upsets. In that card we are facing a powerful water such as a stream river or something of that nature and not far away from a bridge in the distance. It is often thought in this card that home is 'over the water' somewhere and we might be at a 'five' distance away. Clearly as the next card is the six of cups its linking back to an emotional matter likely family in the past and that would actually back up the current story of this lady which you can find on the above link. I did,nt want to take too much in by reading reports but it is clear that she had a husband she wanted to be free of and that would definately be a good link to these cards. I seem to see someone asking for forgiveness here maybe 'for the past' and for all the troubles in the past and it seems that were many choices that were important on that day, and options perhaps or maybe they were points of discussion. I am getting the feeling of someone who is feeling a bit smug, perhaps the smugness was a problem I am not sure but I also see a celebration in actuality which I cant place not having read the issue in full or even much in part. You see the Ace would show a new relationship or new beginning or even a proposal of some kind its generally always emotional - sometimes its even a proposal of marriage or engagement - then its followed by a great union of two people and a celebration follows and then ...oops...the four of cups does,nt seem to make things work and the five and six they show a lot of problems here and someone asking for this forgiveness. I dont know if someone wanted to try again in an emotional relationship??? It seems to me in the 8 of cups a woman is trying to walk away from the past and look only to the future so Im not sure if a proposal of love was Jacques plan??? We seem then to have the family home in the cards and something hidden there in the kitchen perhaps. There is an invitation to go over land and water here by a young man up to the age of 35, he is fair and is great to lean on to tell all your problems to. I seem to see a distant cousin here or some relative who is a female and I see also a Male who is often a father. This is past present and future and may not relate to the 1st of June but Im just going to repeat what tarot is giving to me. The four of cups is like someone who is surrounded by love and devotion but for some reason needs or wants to step back a bit because they dont want to take an opportunity that is being handed to them so I think this lady was in an emotionally difficult place. She probably felt she was walking a tightrope or on glass as there seem to be some delicate areas here. This card is west and it can represent the death of a home life. It also can incorporate SOUTH - so maybe South West?? I see her or someone very bored indeed or perhaps frustrated about something. The grass is always greener on the other side with the four of cups so it does seem to me that whatever is offered is turned down and other choices want to come into play but the opportunity to take them is being stifled in some way. If something was offered it is not going to be accepted as a consolation prize. It could be about caring for the children but again I cannot be absolutely sure. There might be a possessive character here who wont settle for anything less then what they want. This card tells me that Jacque could be West in water or near water or by a water name. I think that there is some kind of deception that has occurred in emotional matters here and maybe things have got out of hand. This card is telling me that there are no messages because they cant come. The Home is upside down people cannot live with each other, hell breaks lose and this card could mean she is near water not far from her home or a home that is known to her. Perhaps we could take the 10 from the 10 of cups and suggest within 10 miles of the property? I see her near an inlet/cove with water nearby or actually in the picture the card is also West. There seems to have been some drinking or even drugs but I may be mistaking this for disorientation or something like that but I can see a woman who lies a lot or who has secrets or hidden truths and I see a man who is drunk or uses drugs or does something like that. So I dont think this that good but only from what I can see on the surface of it. There is a suicidal element on the Knight of cups reversed and this has to be born in mind. Someone can do something stupid when you get these cards or they can take risks that can be 'suicidal' in another persons mind. Someone did a 'crazy thing' ? just so much jealousy and meloncholy feelings in the page of cups reversed and someone with an excessive imagination for things also probably projecting things that are not yet there. For some reason there is a lack of communication from a lover or friend in this card and there is some kind of withdrawal 'from the world' so something seems to have gone wrong very badly here and dwelling on the past has had its toll on the matter. Deception is huge here. I would be looking for her at this point West or South West. I have Jacque being found under three months or we could use a THREE for when she will be found. This card can show you that someone has been seperated from people they love . She wanted to distance herself from what she felt was a destructive relationship through unsettling news - I do think there is something about three people here, perhaps even a three way relationship but I think someone is going to say something and throw some revelation out about Jacque and maybe even where to find her. I would like to think she is hiding out away from things or hidden as the case may be, or in circumstances that are not good for her but by the same token she might have been withheld somewhere she did,nt want to be. Either way whatever the circumstances here, she is going to be found and I would have thought this card will produce when that will be. The swords are always EAST in readings it is reversed however and there might be a link to north east and also to the west. Might be a bit of a triangle here of directions but Im sure all may play there part depending on where she set out from. . Its true she is mislaid for a time - I feel she may have been walking around wounded, whether physically or emotionally - and there is a disorientation here. I really hope this lady will be found before the situation goes dark. I think I would like to leave the tarot here at the present time and just say she will be found. The three of swords is never a good card therefore I would be prepared to say that one can hope. On the map I was drawn to Belle Vista Lake, but that is just a thought and may not be an actuality. "Jacque Sue Waller, 39, was last seen a week ago today when she stopped by the Jackson, Missouri, home where her husband is staying to pick up one of their triplet children. That's when the couple got into an argument over their pending divorce, and Clay Waller says he watched his estranged wife leave angrily by foot. Her blue Honda Pilot was later discovered abandoned with a flat tire on Interstate 55." A stack of Jacque Waller's business cards could turn out to be a key piece of evidence for investigators. "CAPE GIRARDEAU, MO Vandalized, threatened, and shot with a pellet gun. Clay Waller says he has experienced it all. Waller is the last person to see his estranged wife Jacque who vanished June 1, 2011. There have been mumblings for weeks that blood was found somewhere in the house where Clay Waller was staying at the time of his wife's disappearance. On Thursday, Jacque Sue Waller's father said rumors of blood are true. "I've seen it," said Stan Rawson, a former deputy sheriff and police officer in the St. Louis area. "But that's all I'm going to confirm. There's a ton of evidence. ... Just suffice to say there is blood evidence. I saw the evidence bags." When prodded, Rawson -- who met with law enforcement again Wednesday to discuss the case -- also acknowledged that the blood was found in the Jackson house where Waller was staying. Rawson wouldn't elaborate further, he said, for fear of compromising the investigation into his daughter's June 1 disappearance. The 39-year-old mother of triplets was last seen at the house in Jackson where her husband, Clay Waller, was staying, though he has since moved. Her SUV was found abandoned near Fruitland along Interstate 55 with a flat tire. On July 13, an area resident found her business cards near a mailbox along Highway 177, fewer than 10 miles from where her vehicle was found. Police have called Clay Waller a person of interest in the disappearance and said that they suspect foul play. Jul 26, 2012 – Jacque Waller's body has still not been found. ... that he had killed his wife, Jacque Sue Waller, and buried her in a hole he had previously dug. Jacque Waller’s family now know there will be justice for her murder. 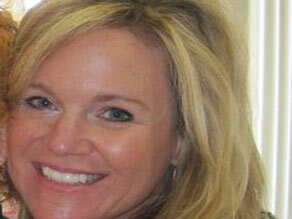 The date for her estranged husband Clay Waller’s trial on charges of murdering her is set for September 2013. NOTE FROM EMPATHY: I will update with more news as it is received. Tarot gave us a THREE for Jackie being found - we are in 2013. Unfortunately, I did not get to update on Jackie's case due to becoming so busy. Some of the older Tarot cases have not been given a map or up to date directions and Jackies case being one of them as I have in the last year developed new methods of find/search. I will pick out pointers once information is available but I am sorry that Jackies friends and family have had to suffer so much. My sympathies are given. Looking at the above link and reading back on Tarot I saw IMMEDIATELY the island in the first card. In the last couple of years I have had Tarot focus more on the location to see what it can pick out. Had I received this card nowadays I would have mentioned an island and of course with the cups an M or W which would have been the Mississippi so it is clear now more about the location then at the time of writing. I am satisfied with other references in Tarot about some of the events as they do seem to link in to the relationship zone. Also the 3 of swords is reversed and it can suggest 'under' and Jackie was found in 2 years. In general I saw her 'hiding' but I should have worked on this more. Most Tarot has a brief overview and this Tarot was just that. Today's Tarot tries to pull out every element and facet of the cards so that we get more information about location but that is down to the growth of this blog and the work that has been done here. There is a huge amount of Tarot on the blog and certainly in the last two years far more information. I am so sorry about Jacque. It was not going to be a pleasant ending because of the swords element it all seemed to be pretty much cut and dried as upsetting news. I feel sorry for the children, its just so terrible that they have to suffer and theres just no consolation prize for them to lose their mother like that in such terrible circumstances. Please think about them they really need support from everyone. Meanwhile I must try to get to some of the older cases and update for maps. I do wish time was on my side and had it been and had I studied more in the location field back in 2011 the first card here would have told us exactly a good description of where Jacque was. Jacque was buried in a six-foot deep hole on an island near the Mississippi River in Alexander County, Illinois, according to police. Have you felt anymore with Jacque's disappearance? Clay wallers father passed away recently. Clay supposedly confessed that he murdered Jacque. Where is she? Thank you for updating me on the situation. I am hoping to get a few more updates written but also have had many new cases which I feel I have to put priority to so that at least I have some brief outline to the requests here. I will do my best.